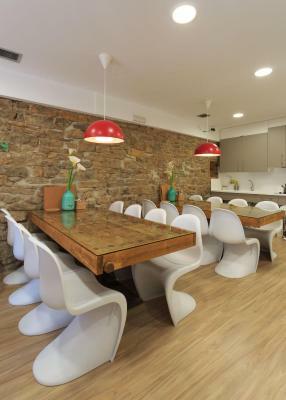 Lock in a great price for Albergue de Pamplona-Iruñako – rated 8.3 by recent guests! The owners run this place very well. The capsule style pods are great for privacy but with snorers in the room, the vibrations are crazy. It's sort of set up like a turn and burn operation. You wouldn't really wanna stay more than one night here...which I hate to say bc the owners are lovely and they keep a very busy place clean and as comfortable as can be. But, you kinda feel like you're in a hospital. Everything was amazing! Natalia was very friendly, the beds are like little cots with individual curtains for privacy. It’s a very short walk to most of the attractions and there are wonderful restaurants along the entire street. Most of the guests were pilgrims walking the Camiño de Santiago, so everyone was absolutely wonderful. Everything was clean, including the bathroom and kitchen. 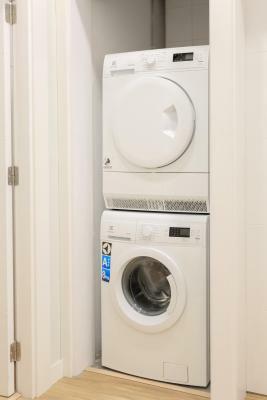 The washing machine costs €3 to use and the dryer €4 but there is a patio in the back where you can air dry your clothes. Location was terrific, space was clean & bright, bed very comfortable- loved the dark curtain for privacy. As hostels go on the Camino, this one was above average. 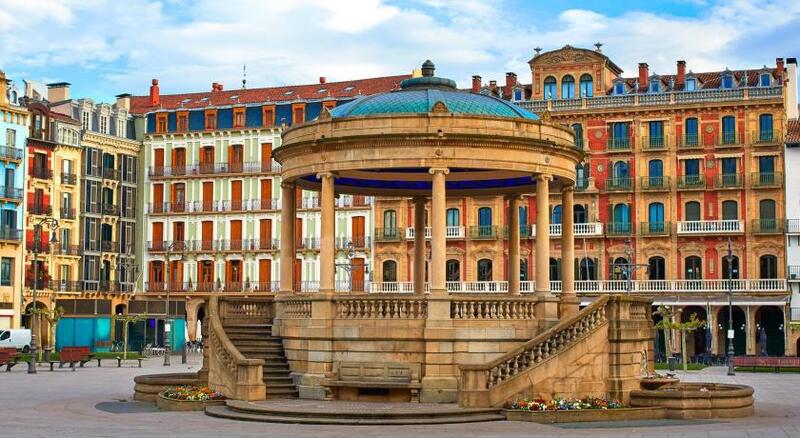 A nice location for sightseeing in Pamplona if you’re giving yourself time for that sort of thing. The staff was fine. The place could use some air flow—rather stuffy at night when closed up. Bunk beds very nice w locked storage area. Paper sheets—yuk. Great location, friendly manager waited for me to arrive. 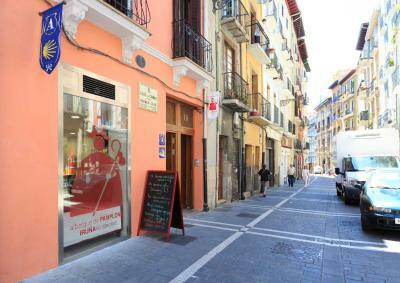 Excellent budget accommodation for San Fermin! Because of the festival there were several intoxicated half naked people making a ruckus at 2-3am, but I'm sure that's to be expected during the excitement of the bull runs. Staff was very nice and it was a great hostel! So glad we chose to stay here. The beds with curtains allowed for some much needed privacy. It's nice to not wake up to others turning on the light in the morning. Ataff was friendly. I highly recommend this place! 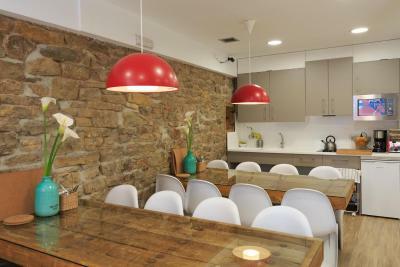 Featuring free WiFi throughout the property, Albergue de Pamplona-Iruñako is located in Pamplona, 650 feet from Pamplona Catedral. 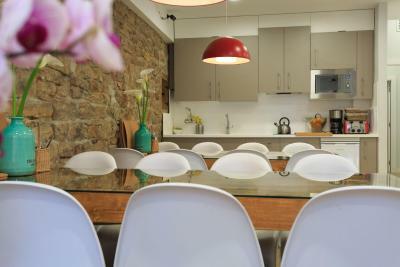 There is a shared kitchen at the property as well as a seating area featuring a sofa and TV. 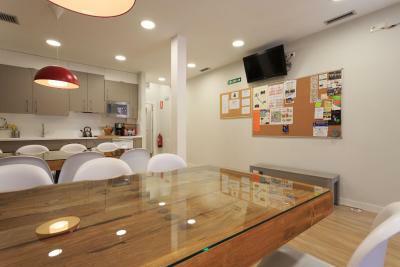 Other facilities available in Albergue de Pamplona - Iruñako are a laundry area and an interior courtyard. Ciudadela Park is 0.6 mi from Albergue de Pamplona-Iruñako, while Public University of Navarra is 1.4 mi away. Pamplona Airport is 3.7 mi from the property. 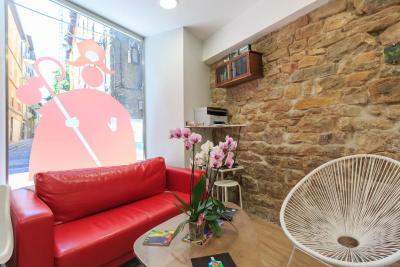 뀐 Located in the real heart of Pamplona, this property has an excellent location score of 9.4! 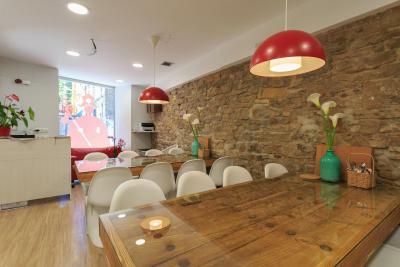 When would you like to stay at Albergue de Pamplona-Iruñako? This built-in bunk bed features a courtain, a night light and a locker with a small closet. 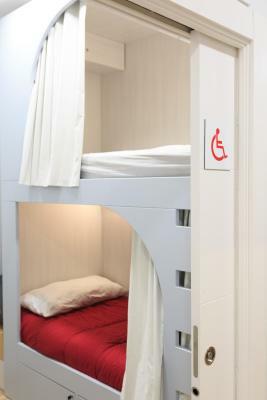 The dormitory room has access to a shared bathroom. 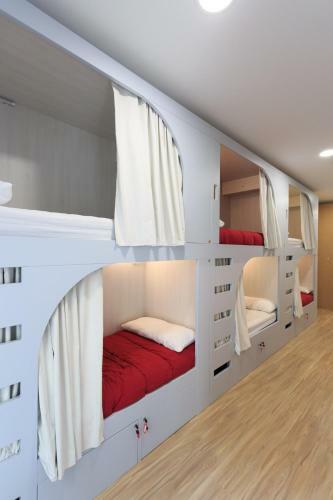 This private twin bedroom features built-in bunk beds. Each of them comes with a courtain, a night light, a locker and a small closet. It has access to the shared bathroom. 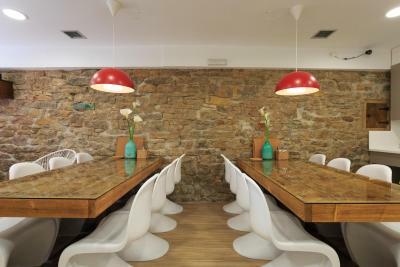 House Rules Albergue de Pamplona-Iruñako takes special requests – add in the next step! Albergue de Pamplona-Iruñako accepts these cards and reserves the right to temporarily hold an amount prior to arrival. 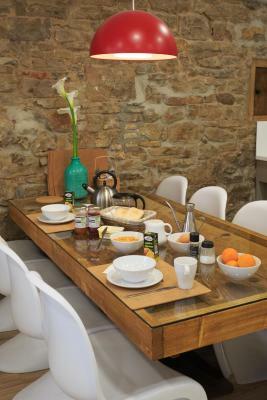 Please note that breakfast will not be available from 5 to 14 July. - From 23:00 to 01:00 EUR 10. Please inform Albergue de Pamplona-Iruñako of your expected arrival time in advance. You can use the Special Requests box when booking, or contact the property directly using the contact details in your confirmation. Some other people using the facility got up very early (4am) disturbing everyone else. Some people talked late on their phones despite signs asking for silence in the bed space. As it is open plan, this can be a problem, though the facility cannot help guests rudeness. 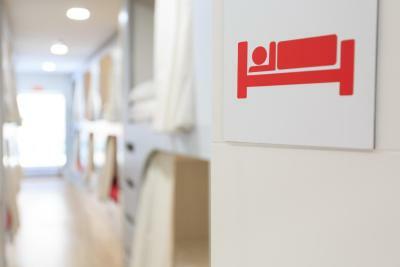 The bed spaces are private and warm, the public spaces are friendly, the staff are friendly and helpful. I would stay again. Not atall homely or comfortable.stark and basic. Bathrooms could do with a bit more cleaning. Breakfast was very basic (coffee, toast with butter and marmalade, biscuits) and you’d probably find better options for this price (3€). It was also quite uncomfortable climbing up the top bunk. Price for an overnight stay (22€) is also on the expensive side for a pilgrim hostel. This was our jump off point for the Camino de Santiago. Reception was fast and easy and Natalia was very helpful. She also waived our breakfast fee for putting us in top bunks. Location is central and you can get anything you need within a stone’s throw away. We also had separate lockers with a key to keep our belongings safe. The curtains were also great to have some semblance of privacy. 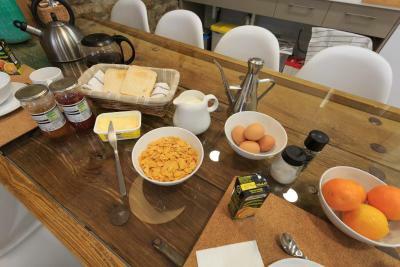 Staff, the son of the owner, the owner’s attitude (peevish at best, if not disrespectful for non-Basque speakers...), breakfast’s milk was rotten. Food from cheap/unhealthy supermarkets. Plus, I left an iPhone’s charger unattended, obviously was robbed. The facilities look good and attractive when booking online. You won't be given sheets for your bed. 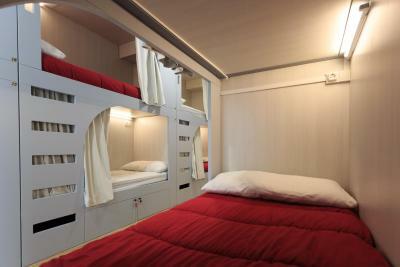 This is a brand new Pilgrims hostel so don't expect as much service as you would for the price. Tried to charge us twice and the person at the desk was really not knowledgeable about the area. A bit of a shame when you host Pilgrims. Very central in Pamplona, clean and the bed were comfy. good individual space to relax with plug, light and secured space for personal belongings. 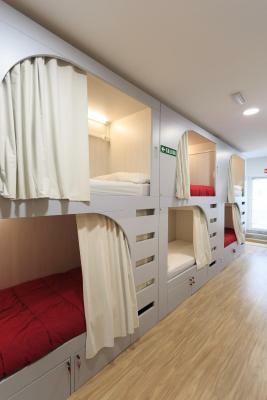 Get your earplug, only one room with more than 15 beds. Booking.com had the wrong pin code. Johannes, who checked me in was very nice and polite. Bed and kitchen facilities excellent. It's clean, modern and just the right size. Highly recommended. This place is a NIGHTMARE! Firstly the owner is usually drunk. She pretended I haven't paid, which I did. She promised a receipt , which never came, and then said I haven't paid. Also, she claims her cardachine doesn't work, so it's all cash and then of course, there's no documentation/ proof of anything. The co ordination between her son and her (that's how much communication there is needed as staff) is zero. I came back from the Camino walk, and had to wait two hours..... because mother and son hadn't informed each other about payment/ booking/ time etc. They either don't have phone credit, or leave phones somewhere, so can't take calls. I was asked to move beds, even though they showed on booking that hey had a free spot. They charge three euros extra for blankets and bedsheets, and another three euros extra to charge the client for booking.com fees/ commission. The wifi works only at the reception, and there's is no heating! ( it was 3 degrees!!) I'd Really advice the website to take them off their list. It's a horrible and very unprofessional service - staff experience! I would not just NOT reccomend it, I would actually caution people about staying here. The staff is well disorganized, confused and not friendly. The hostel has a different name, so it’s confused when you are looking for it. It seems before was from a couple but now it is from 2 ladies. 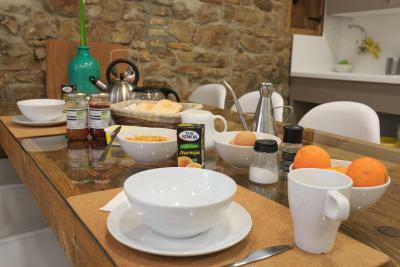 The breakfast picture is far from the reality. 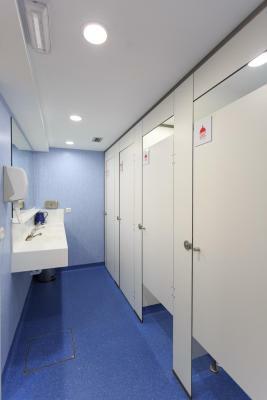 The bathroom are sometimes dirty and without toilet paper most of the time, plus keep in mind you have to push the bottom during the shower but the water is hot enough. The bed curtain was good for privacy! Paid 8 euro for laundry, but clothes still in the dryer and wet after two hours! Should've refunded what I paid for the dryer. Right on the Camino. Very basic, but comfortable. Mixed bathroom. I was not aware that the toilet and shower area was for both men and women. I prefer a woman’s only shower area. The street the albergue was located on was not that inviting. The garden area in the back was not clean. 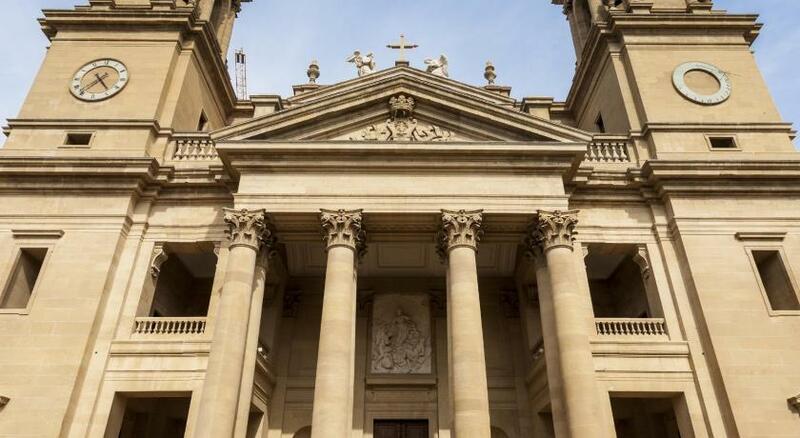 Closeness to the Cathedral and Camino; the code to get into the locked property; curtain for bunk bed. If I consider the price (but even without considering it), there is nothing to complain about. 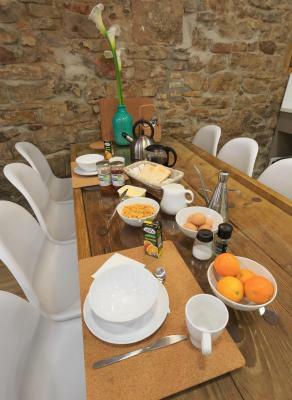 The location cannot be better, a socket is available by every bed, wi-fi was very good, the kitchen is well equipped and there are enough toilets and showers available. I can recommend this hostel.